You are here: Home / Investments / Why is Short Term Investment not advisable? Short Term Investments are good to park your surplus funds to earn a bit more from them. However the practice of only investing for the short term or having a short outlook for investments is bad for your money. People are not patient these days. We want everything fast, thanks to that craving of the human soul of this day, even phones are having 8-core processor and megabytes of RAM. It needs to be fast we don’t have the time to wait for anything even Pizzas need to arrive in 30 mins or less. Food needs to be ready fast, promotions and appraisals need to be fast, and cars have to drive fast even if it means going from one traffic signal to another in 2 mins and then waiting there for 5 mins. The point is patience is a virtue that is long lost to mankind of our generation. The same impatience and ‘fast’ need is directed towards our investments and money, especially for the younger lot or the ones who are fresh in the job arena. This gives rise to short term planning and short term investments. But is short term investment good? I try and reason them the logic of long term investing and the benefits and the fact that short term investments have less return that won’t be substantial in the long run. Moreover the short term investments would get them into the habit of not saving much for their future when actually they would need funds. Some of them are convinced and make the wise choice of sticking to long term; while some of them only choose the short term options which is bad financial planning. Short Term Investments are good only when you have surplus funds that you do not wish to liquidate in the immediate future but would need them some time later maybe a year or a couple of years. It is good for that. Also short term investments can be a part of your portfolio and not the portfolio itself. The most surprising thing to hear is when the say… “I can’t block my funds for that long…” when their age is 25-30 years or even less in some cases. I ask them if they can’t block money for 5-7 years at this age, they will never be able to invest it for long term in the future too, since clearly there is something wrong with that mindset that needs to change. Money is not magic that it will grow just like that. It takes time. Yes, you may have a windfall like some of the people you know who invest in the stock markets, but that is not a regular occurrence. Moreover you may not understand the markets like they do whose daily job is intra-day trading. Tips are not always useful. Other problem with short term investment is that it doesn’t allow you to build a corpus. If you cannot invest for long term, you are basically not looking for a pension plan or retirement plan. Even something wonderful like a PPF is out of bounds for you, since you are not able to look beyond 6 months to a year. The worst of it all is that you wait for a short term investment to come up and not invest at all, and before you know it you are waiting for 2-3 years and then you can ask yourself, you did not invest a single rupee for 2-3 years and have no returns, whereas wouldn’t it have been great if that same money was in some long term investment for 5 years. I mean since you are looking for short term investment since the past 2-3 years, you certainly have that fund and have not used it. So the need did not arise. That same money could have earned better returns had it been parked in a long term investment option; but I guess you know better to have not invested so far. Just think of it. I personally know a lot of people who have done this. As a basic ground rule of building a corpus for your future, one has to remember that money needs to be ‘blocked’ for a long term at times even for 10-15 years like in the case of pension plans or PPF. If you cannot do that, then either you need to win a lottery or make really good fat money from your occupation. For most of us, those scenarios are not that common. So better stop cribbing about the tenure and start investing today. The more time you waste in thinking short term, the more time your money is losing to grow and be useful. Think Long Term if you want to build wealth. 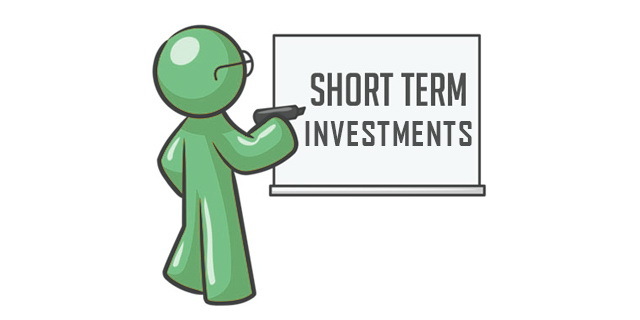 Short term investments are only for when you are done with your regular long-term investments and still have some surplus funds; then those you can invest for 6 months to a year and then renew those short-term investments if you still do not need that money; but DO NOT make short term investments your primary investments.